For tonight’s exciting conclusion of CHICAGOLAND, Mayor Rahm Emanuel lays out his vision for Chicago’s future – both in his annual budget address and at Chicago Ideas Week, where celebrated chef Mario Batali and renowned artist Hebru Brantley are also featured. The pension crisis is the next great challenge for the Mayor – and, also for public employees like Chicago Fire Department’s Captain Joel Burns. Police Superintendent Garry McCarthy and the CPD have reduced homicides significantly, but now have to ensure the public’s safety during the city’s marathon – in the wake of the tragic events in Boston. Early childhood and charter education advocate Dr. Diane Rauner, president of Ounce of Prevention, assists the Mayor’s efforts to expand access to education for young children. First Lady Michelle Obama shares some wisdom with a young Chicago student getting ready for college. Meanwhile, Fenger High Principal Liz Dozier receives a helping hand with a fundraiser shepherded by local entrepreneurs Billy Dec and Juanita Jordan. 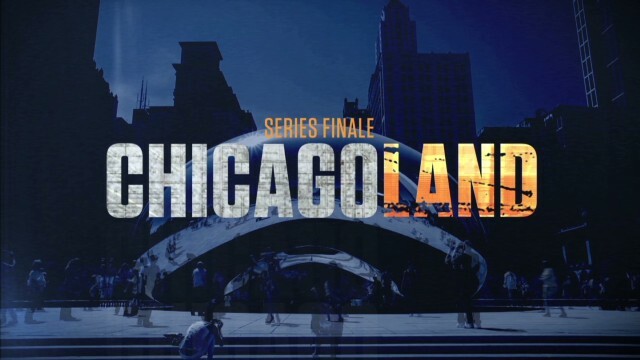 Viewers can join in the live social media dialogue tonight for the series finale with the producers and featured participants in CHICAGOLAND, by logging into Twitter during the broadcast and using #Chicagoland, by following @CNNOrigSeries, or by visiting www.cnn.com/chicagoland. CHICAGOLAND is executive produced by Robert Redford and Laura Michalchyshyn of Sundance Productions, and Marc Levin and Mark Benjamin of the Peabody Award-winning team that created BRICK CITY. CHICAGOLAND explores where politics and policy meet real people’s lives in a beloved heartland American city.